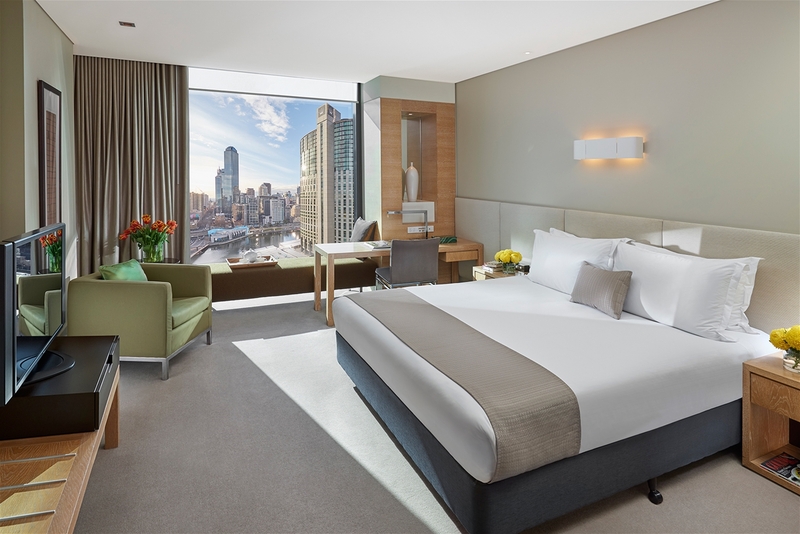 Equipped for business and ready for fun, Crown Promenade overlooks the Yarra River in Melbourne’s glamorous Southbank entertainment precinct. Each of Crown Promenade’s 465 guest rooms features floor-to-ceiling windows, original local art and a calming ambience. Enjoy a quiet drink at the stylish Tonic bar, or dine in the relaxed and cosmopolitan atmosphere of Mesh. Enjoy luxury accommodation in a Standard Room. Package includes breakfast for two at Mesh and valet parking for one vehicle and sparkling wine on arrival.